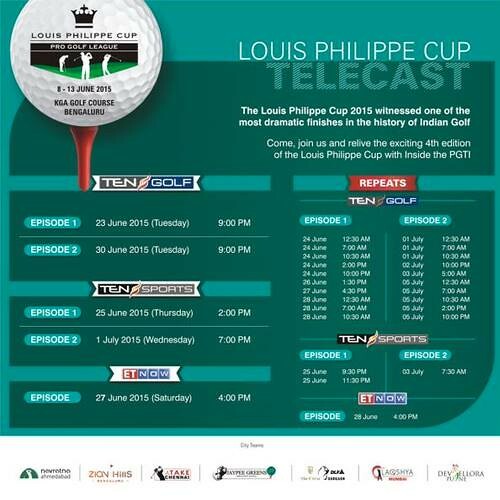 The 4th edition of the Louis Philippe Cup saw a strong cast of India’s elite professionals from the Asian Tour and Professional Golf Tour of India led by Jyoti Randhawa, SSP Chowrasia, Rahil Gangjee, Gaganjeet Bhullar and Rashid Khan. 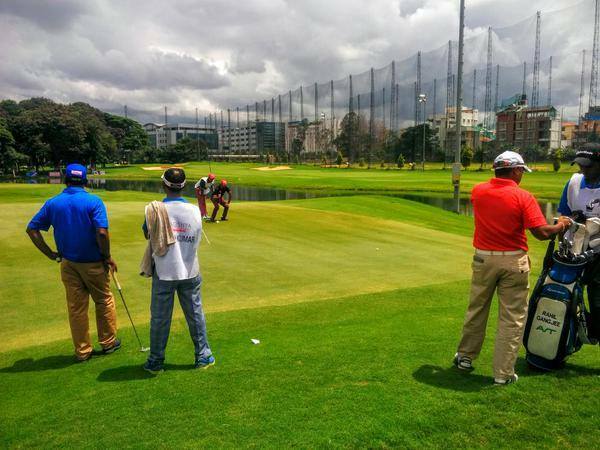 Players competed for seven city teams in India’s only annual Professional Team golf event at the Karnataka Golf Association, Bengaluru from 11th-13th June 2015. 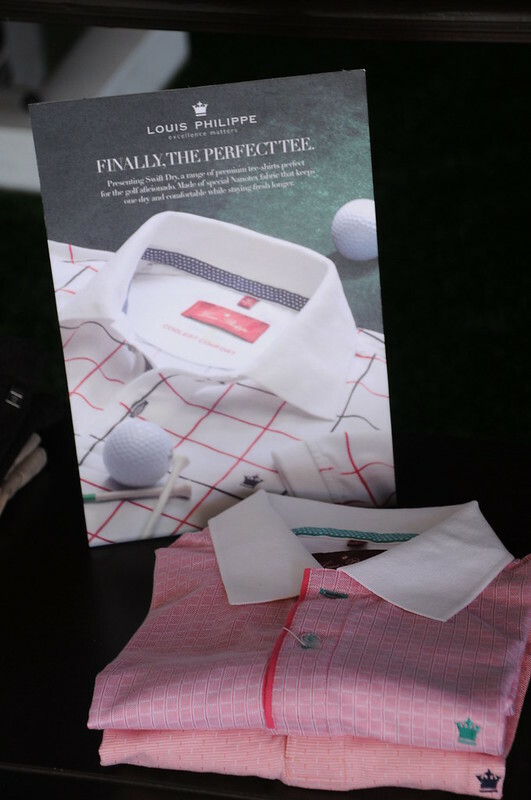 The three day, 54 hole tournament with a prize purse of Rs. 1.2 crore, is specially approved by the Professional Golf Tournament of India (PGTI), and conceived and promoted by RN Golf Management (RNGM). The seven city teams are – defending champions Navratna Ahmedabad, strongest team on paper TAKE Chennai, DLF Gurgaon, who has gone in for a young squad, Jaypee Greens Greater Noida which consists of two members of the 2013 winning Delhi team, new entrant Zion Hills Bengaluru, Dev-Ellora Chandigarh led by Bangladesh star Siddikur and Laqshya Mumbai with veterans Jyoti Randhawa and Mukesh Kumar. As per the team selection criteria, two players from the top 14 ranked professionals on the PGTI 2014 Final Order of Merit will play on each team and will be joined by the sponsor’s pick to constitute a three member team. As in the past three years, the total purse is Rs 1.2 crore (approx US$200,000), the 2nd highest of any domestic tournament, but shared by only 21 players instead of 50-60 in a normal PGTI or Asian Tour event. The introduction of individual prizes for first and 2nd place has got the interest of the players. The changed format from knockout to strokeplay mirrors the format to be used in Rio Olympics 2016 where individual and team medals are up for grabsand ensures that the interest of all teams remains till the end. In this format with the best two scores of the three players counting towards the team score each day, a team that is 15 strokes behind can actually have two players shoot 6 or 7 under par each and make up the difference in one round. 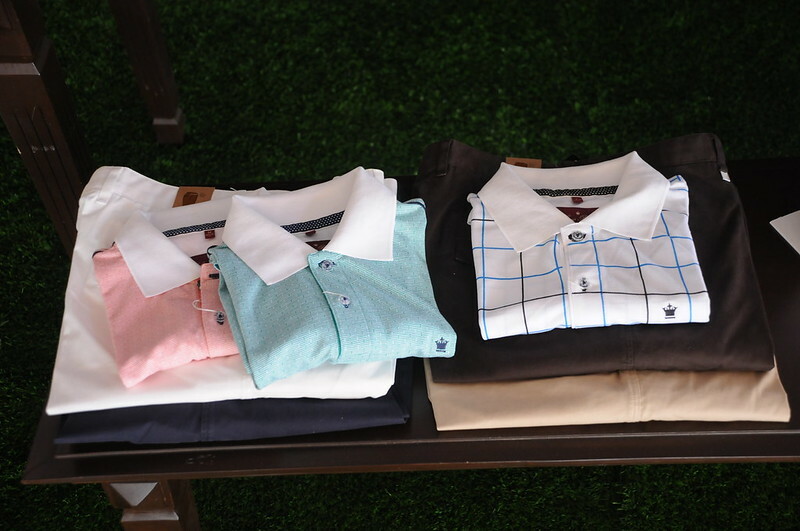 The tournament returns to KGA, a favourite with the players, where it began in 2012 after rotating to Delhi NCR (Jaypee Greens Golf Resort) and Mumbai (Bombay Presidency Golf Club). In the inaugural edition, the unheralded Ahmedabad shocked home favourites Bengaluru, led by Anirban Lahiri, to win the title. In 2013, a strong Delhi squad defeated Gurgaon featuring brothers-in-law Jyoti Randhawa and Digvijay Singh in a rain delayed final which came down to the final putt. This year, TAKE Chennai boasts the strongest team on paper, having lined up three of their brand ambassadors SSP Chowrasia, Chikkarangappa and Khalin Joshi who is in strong form following a win at the PGTI Ahmedabad Masters and a 15th place finish in Indonesia in April. 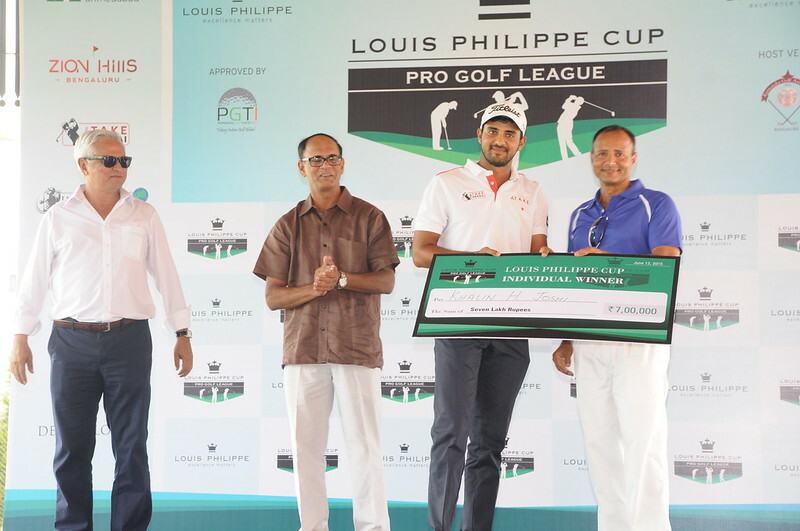 The Louis Philippe Cup which has always associated itself with sports and sportsmanship, hosted the Celebrity Pro-Am event at theKarnataka Golf Association, Bangalore. The tournament was followed by a star studded dinner at the ITC Gardenia, Bangalore. The Celebrity Pro-Am Dinner & Prize Distribution was held at the ITC Royal Gardenia, where stalwarts from the corporate, sports and entertainment worlds, such as Sharmila Nicolette, Syed Kirmani, Mittu Chandilya, Tarun Rai, Parul Yadav and Meghana Goankar among others, were seen adding grandeur to the event. The fourth edition of the prestigious tournament saw the participation of celebrities such as commentator Charu Sharma, standup comedian Papa CJ, accomplished former athlete and actress Ashwini Nachappa , among several other dignitaries. 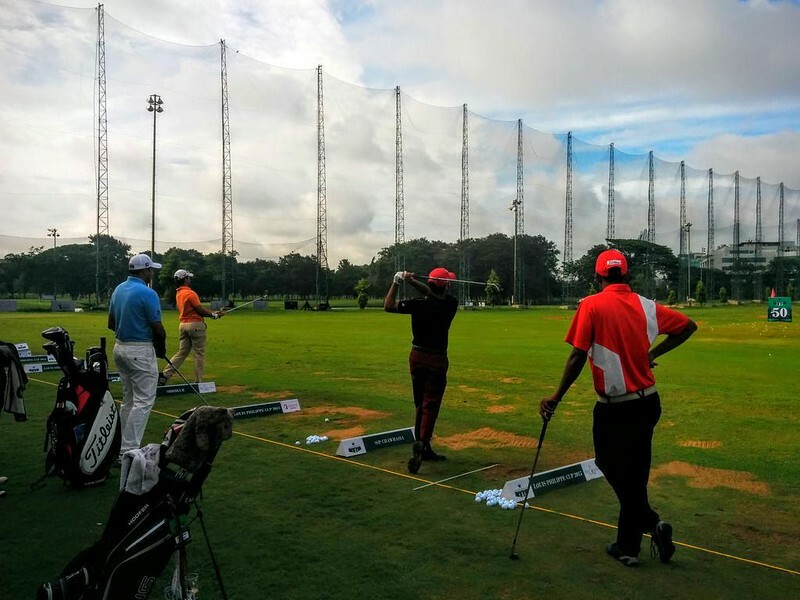 The team of professional golfers included Asian Tour and Professional Golf Tour of India led by Jyoti Randhawa, SSP Chowrasia, Rahil Gangjee, Gaganjeet Bhullar and Rashid Khan – displaying the strongest ever line up of Indian and Asian golfers. Navratna Ahmedabad clinches the Louis Phiilippe Cup for the third time in four years.Khalin Joshi becomes individual winner. Mithun Perera lead from the front to shoot five-under, 67 at Karnataka Golf Association to ensure that his team Navratna Ahmedabad defended its Louis Philippe Cup title. 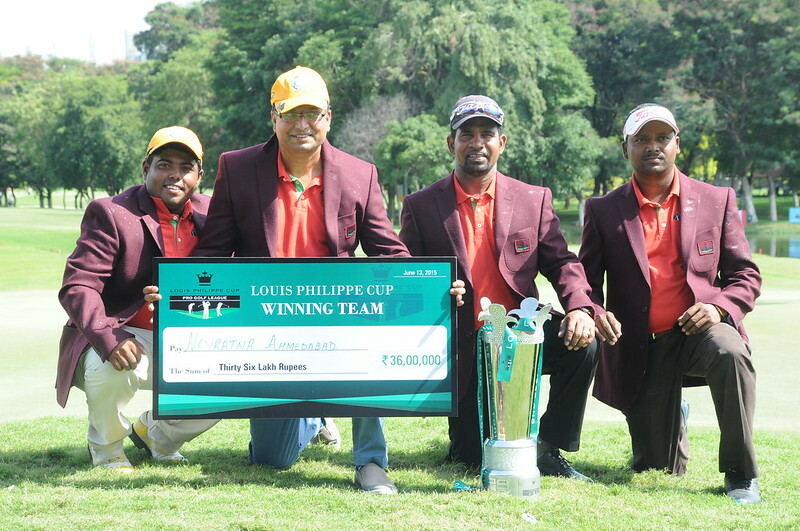 This is Navratna Ahmedabad’s third Louis Philippe Cup title over four years of the tournament. Giving Perera full support was teammate Anura Rohana who made a crucial 10-footer birdie on 18th when the team needed it most and returned with one-under 71. The third player of Navratna Ahmedabad team Shankar Das, winner of 2014 PGTI Rolex Rankings, who gave hope to his team by shooting three-under on the first day, ended the final round with three-over 75. Navratna Ahmedabad’s three-day total was 13-under 419 and tied with TAKE Chennai, but Ahmedabad’s final day score of six-under 138 gave them victory and a winning cheque of Rs. 36 lacs. As per the format the scores of the best two players were taken into consideration as the team total. TAKE Chennai who went into the final round with a five-shot cushion had a disappointing day as all three players were unable to shoot low numbers. Local lad Khalin Joshi who kept TAKE Chennai’s hopes alive until this morning, carded a two-under 70 while both his teammates Chikkarangappa and SSP Chowrasia shot one-over 73. Khalin Joshi collected a cheque of Rs. 7 lacs as he became the individual strokeplay winner with a 54-Hole total of 12-under par while Om Prakash Chouhan of Dev-Ellora Pune was individual runner-up at 5-under par in a tournament that has a total prize purse of Rs. 1.2 Crore. Dev Ellora Pune who was 5th at the end of Day 2, climbed up to 3rd after Sanjay Kumar shot a fabulous round of four-under 68 and Om Prakash Chouhan submitted a scorecard of three-under 69. Bangladesh’s Siddikur couldn’t do much on the final day for Pune team as he shot six-over 78. 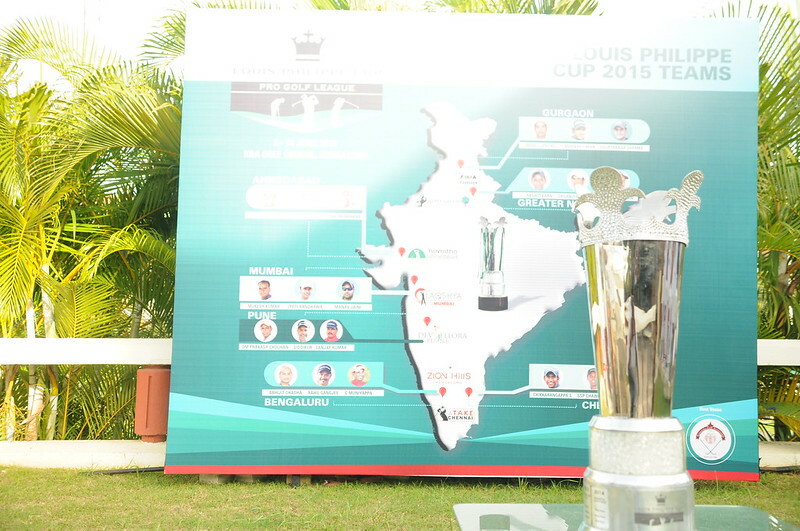 Dev Ellora’s three day team total was 11-under 421 while Zion Hills Bengaluru finished 4th at 10-under 422. Gaganjeet Bhullar’s Jaypee Greens Greater Noida and Jyoti Randhawa’s Laqshya Mumbai shared the 5thplace at seven-under 425 while the youngest team in the fray DLF The Crest Gurgaon ended the tourney at the bottom with one-under 431. “I always knew that I have two consistent players in my team and we are like a family in this team event and always give signs to each other about who is doing what. Also, just because I have won this event twice, I was very confident of doing it again. 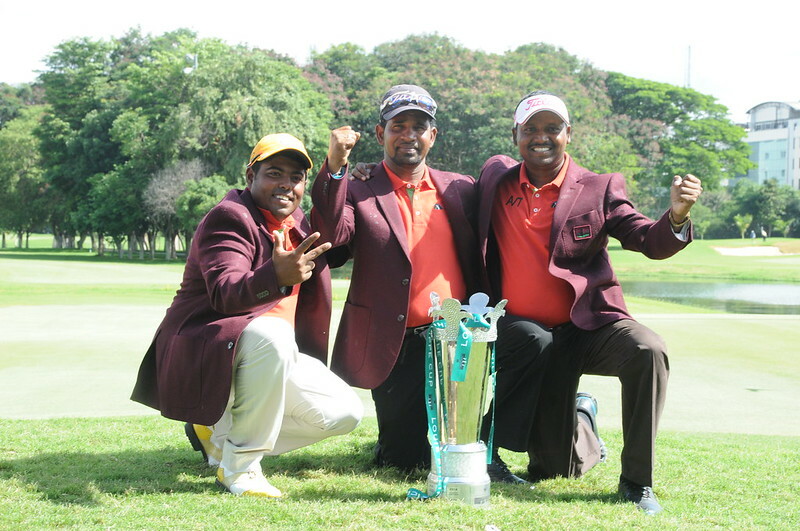 My five-under gave us the confidence and then Rohana pitched in for a magical birdie on 18th, which was enough for us to clinch the title,” added an ecstatic Perera.